We use selection cutting in our forests for the production of our firewood. Selection cutting is a technique used to refer to the cutting of trees selected individually or in small groups in order to release space for young trees to grow. Cut trees are selected in order to globally improve the quality of our forest. Therefore the nicest trees are kept. Selection cutting allows also to keep trees of all ages in order to ensure a regular production of our firewood. This technique of sylviculture production ensures sustainable management of the forest. It avoids planting trees again because the forest renews itself naturally with the existing trees. 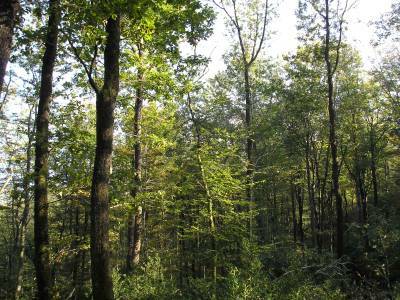 The forest quality is therefore improved in time. Trees are of different sizes and ages. 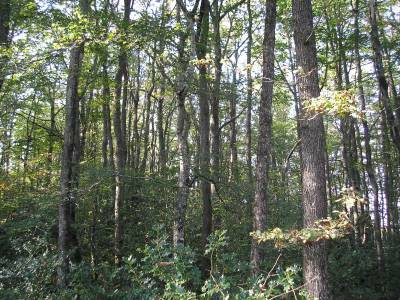 Our forests are made up of mixed species of hardwood such as oak or beech, which are able to grow in shade of taller trees. Trees are first selected for cutting in order to release those that are more promising or smaller. They are then marked, in a process known as ”timber-marking”. No more than one-third of the trees in a given sector can be cut to ensure a natural renewal of the trees. Diseased trees with parts than can be used. Deformed trees to make sure they do not reproduce. Healthy trees that have reached their maximum size. Selecting cutting is done on marked trees. Selection cutting allows to always keep a forest with at least two third of the existing trees. Partial cutting is beneficial for wildlife too. It also prevents unwanted trees to come as it would in a large breach. 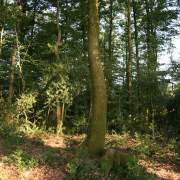 Selection cutting is usually possible when trees are of different ages. This allows younger trees to grow faster and in better conditions. This also prevents a forest with trees which are too old and therefore an unbalanced production in time. 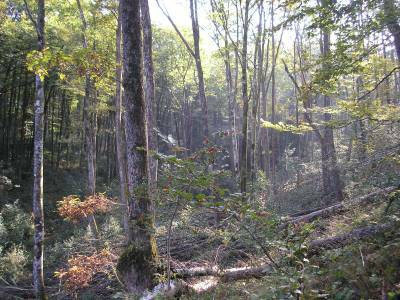 Lastly, selection cutting, while keeping existing trees, ensures a visually agreeable forest for the walkers. However that means that trees have to be selected over time, and they cannot be all cut at one moment in time. 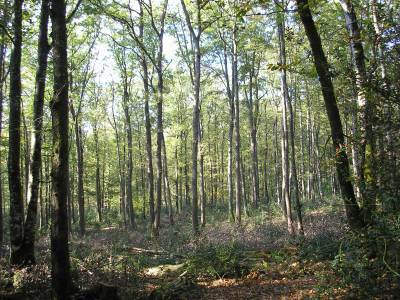 This is an example of forest which has not been exploited. Vegetation is dense. We first cut trees which have been marked for the selection cutting. We finish the tidying; there is still some wood to retrieve. Then 10 years later, the forest is thick again, but only with trees which has been kept.